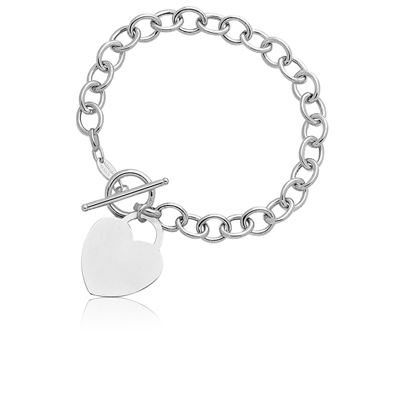 Heart-Tag Toggle Bracelet in 14K White Gold . 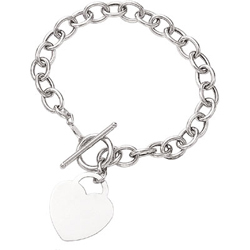 This stylish Heart Tag Toggle Bracelet is designed in 14K White Gold. This magnificent bracelet will add glamour to your hand. Total Gold Weight of the Bracelet is approximate 3.0-3.5 Grams. This bracelet is 7.25 inches in length.